This unstructured evening enables all to encounter Jesus and praise Him through song and prayer whilst soaking in his presence. Hope Church Wymondham has been running these events monthly, and now The Hub offers the opportunity for anyone in the community to attend. On a Sunday morning there’s not always time to linger in God’s presence during the worship. These evenings allow for that and give an open platform for powerful encounters to happen, spiritual gifts to be received and exercised, and for lives to be changed. These nights are open to all Christians who are hungry to experience God’s presence more in their lives. 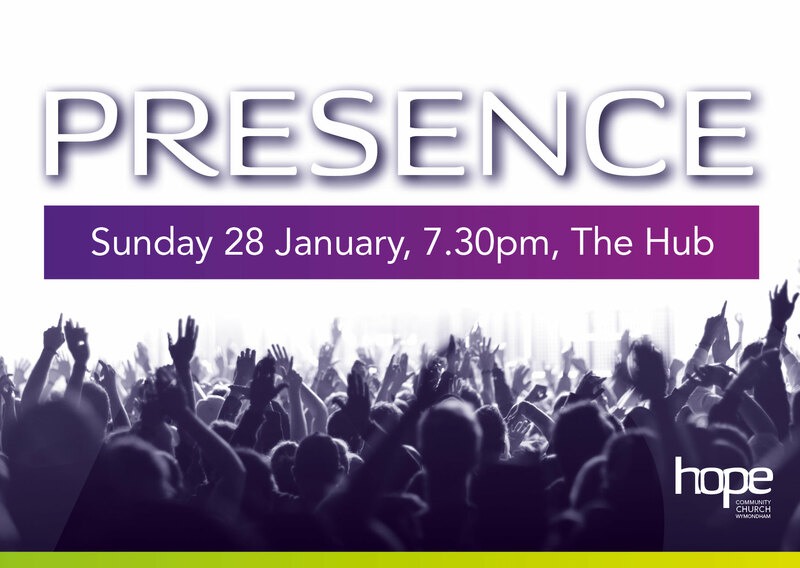 The next Presence event is on Sunday 28 January at The Hub, Ayton Road, Wymondham, NR18 0QJ. Doors open at 7:00pm for refreshments and worship starts at 7:30pm.